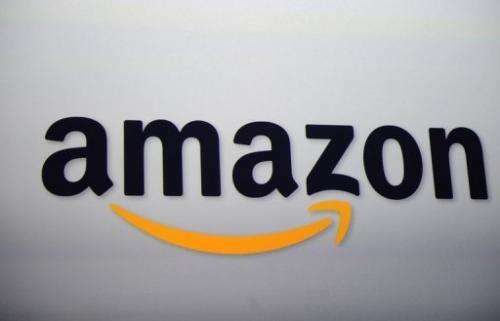 Online retail titan Amazon on Tuesday began letting developers sell wares in games or other applications tailored for Android-powered gadgets. Android Mobile Associates software kits let developers offer Amazon products for sale in applications, with as much as six percent of the revenue going into their pockets. "Until today, developers have only had three methods to monetize their apps or games: selling them outright, going 'freemium' with in-app purchasing or subscriptions, or using mobile ads," Amazon's Mike Hines said in a blog post. "The Mobile Associates API allows developers to sell real products from the millions of items at Amazon." Amazon's own Android-powered Kindle Fire is among devices that allow in-app sales of the Seattle-based company's goods. Examples given by Hines included enticing game players with T-shirts complementing themes in titles or offering vitamins for sale in fitness-related applications. Mobile shopping, particularly on tablets, is having a significant impact on online commerce in the United States, according to industry tracker eMarketer. The percentage of online sales made from mobile devices will climb to 15 percent this year from 11 percent last year, eMarketer forecast. US online retail commerce conducted using mobile devices should tally nearly $39 billion this year in a 56.5 percent jump from last year, according to eMarketer.